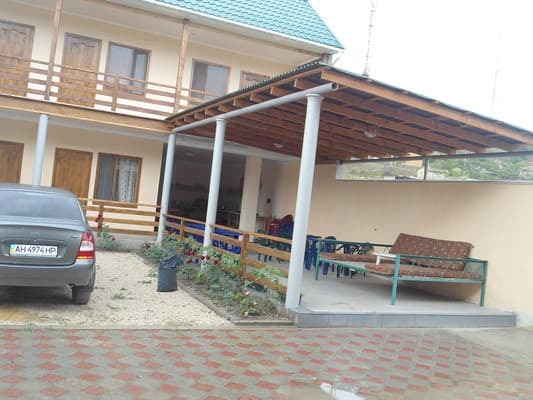 Guest house "Priliv" is located at the foot of the mountain Alchak, a 15-minute walk from the sea. Nearby is the Aquapark. 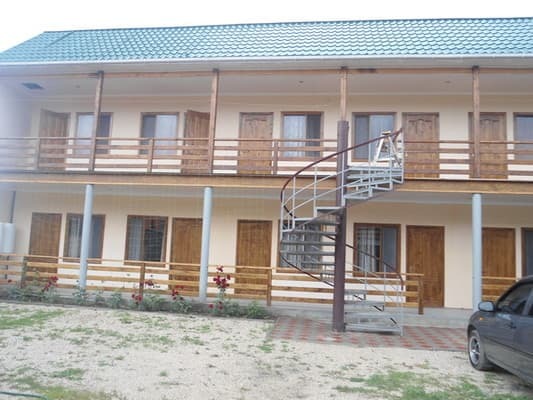 The guest house consists of two two-storey buildings built in 2011. On the territory of the guest house "Priliv" there are two common kitchens for self-cooking. 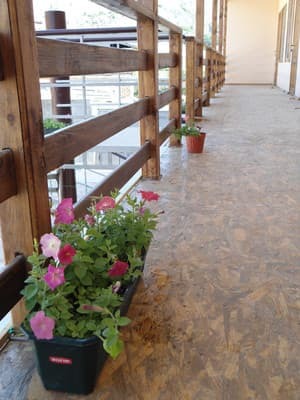 The rooms in the buildings are equipped with everything necessary for a comfortable stay. 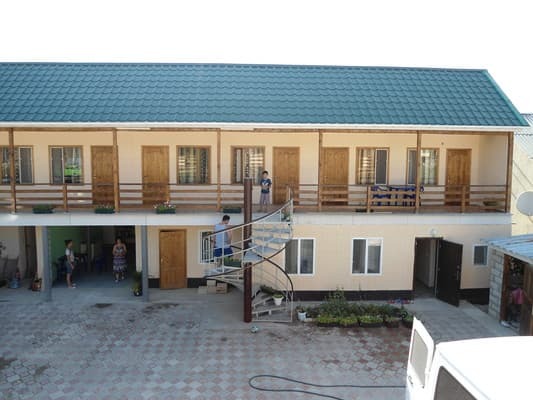 In the whole territory of the guest house "Priliv" there is free Wi-Fi, parking, trestle beds for rest on a fresh holiday. To the sea - 15 minutes walk. The distance to the city of Simferopol is 110 km, the city of Alushta is 70 km, the city of Feodosiya is 50 km. PRICES MAY CHANGE, IT IS REQUIRED TO RECEIVE INFORMATION FROM THE OPERATOR. Description of the room: The room has a double bed and a single bed, a wardrobe, a bedside table, a mirror, a fan, a bathroom. 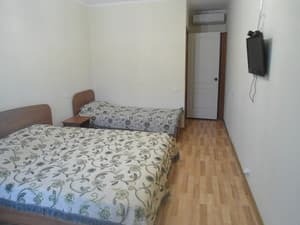 Description of the room: Comfortable room, it is provided with all necessary: ​​a large double and single bed, a wardrobe, a bedside table and a mirror. In the guest house "Tide" additional places are provided in the form of a clamshell. 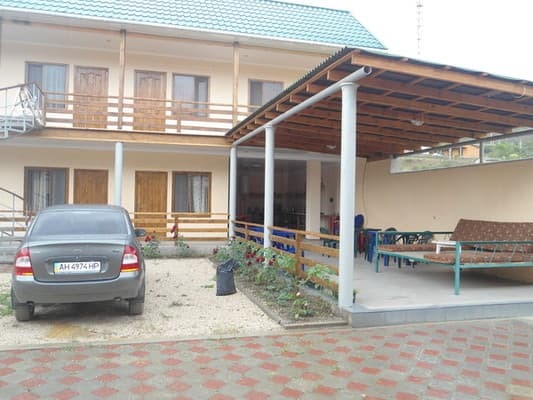 Guest house "Priliv" is located at the foot of the mountain "Alchak" in 15 minutes walk from the sea. A convenient location allows visiting our guests not only city beaches, but also suburban beaches. The distance to the city of Simferopol is 110 km, the city of Alushta is 70 km, the city of Feodosiya is 50 km. Marshrutki (and buses) leave from the bus station near the railway station of Simferopol (landmark restaurant "MacDonalds", right next to the entrance there are cash desks Autostation), depart in 10-15 minutes, travel time 1.40 - 2.20 hours. From Feodosia to Sudak - 55 km. 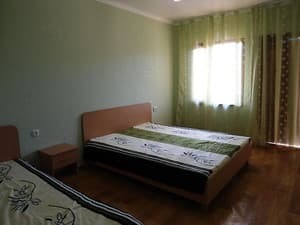 Transfer from Sudak is included in the price.